CHARLOTTE, N.C. (Nov. 16, 2017) – Dalton Sargeant and the No. 99 Performance Plus Motor Oil, MDM Motorsports team head to Homestead-Miami Speedway for the 2017 NASCAR Camping World Truck Series (NCWTS) season finale with confidence after running inside the top-10 the week before at Phoenix Raceway. Friday night’s Ford EcoBoost 200 will mark Sargeant’s sixth career start in the NCWTS and his first ever start at the 1.5-mile Homestead-Miami Speedway, even though he’s visited victory lane and earned championships at the South Florida racing facility. Sargeant, a 19-year old NASCAR rookie from nearby Boca Raton has been dreaming about this weekend for a long time. 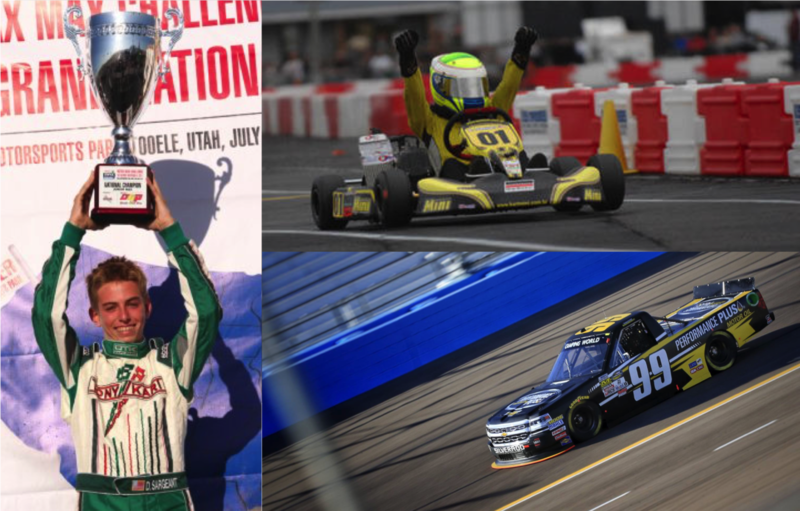 After starting his racing career at Homestead Karting, Sargeant went on to win several races at the .7 mile road course and even captured the 2010 Rotax Mini Max Championship and finished on the podium of the Florida Winter Tour Championship several times. Sargeant eventually moved to Europe to peruse the top-level of karting and represented the United States in several world karting championships before moving back to North Carolina to compete full time in stock cars. He hopes his previous successes will transfer over to the much larger track at Homestead-Miami Speedway. The Ford EcoBoost 200 from Homestead-Miami Speedway will take place Friday, November 17 at 8:00pm EST and will be televised live on FS1. Keep up with Sargeant and the Performance Plus Motor Oil, MDM Motorsports No. 99 team with live updates on Facebook, Instagram and Twitter (@DaltonSargeant and @MDMmotorsports) as well as DaltonSargeant.com.